NBC News National Investigative Correspondent Michael Isikoff gets an exclusive look inside the secretive organization known as Anonymous, a loose-knit group of computer hackers who came to the defense of Wikileaks and got the attention of law enforcement officials in the process. NBC's Brian Williams reports. >>> back in this country tonight, nbc news has been given an exclusive look inside the secretive organization known as anonymous . a loose knit group of computer hackers who came to the defense of wikileaks and got the attention of law enforcement in the process. they are young and stealth and possible cyber killers. michael isikoff has more on this from our d.c. newsroom. >> reporter: the group has spooked major u.s. corporations. the pentagon is now singling them out as an example of the serious new cyber threats facing the country. 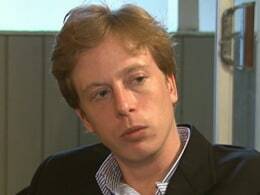 barrett brown is an underground commander in a new warfare. >> it's a cyber war . >> reporter: brown calls himself a senior strategist for annan anonymo anonymous , a loose connection of tech savvy creditors who brought down the websites of visa and mastercard last december. >> we sent a message, we don't appreciate you working with the feds. >> reporter: the feds, the fbi is now investigating anonymous for those attacks. raiding homes and issuing dozens of subpoenas. >> reporter: joked about by some, but very serious. they call themselves hacktivists. in public protests, they hide their identities behind masks. >> when we break laws, we do so in service of civil disobedience . >> reporter: targets like h.b. gary , a major security firm some agencies rely on to keep their computers safe. last week, h.b. gary threatened to expose anonymous . the ceo resigned. how did they do it? it was tech savvy, to be sure. but also an old fashioned con. brown says a 16-year-old girl posed as h.b. gary 's founder in e-mails and tricked the computer security manager to reset his password. anonymous is credited with bringing down websites in tunisia, libya and egypt. now it's made new threats against companies and government officials complicit in what it views as the mistreatment of bradley manning. >> anonymous is powerful enough that it certainly instruction fear into the hearts of the biggest technology companies in the whole world. >> reporter: they claim to have a version of the stucksnet computer virus that was used to bring down the iranian nuclear program for several months. >> that's a dangerous piece of information. it's dangerous software. it shouldn't have been floating around like that. >> it shouldn't be in the hands of anonymous , but it is. c'est la vie. >> reporter: brown told us he's not personally involved in any computer hawking, but he expects they will come after him. we spoke to h. bfrmt gary 's founder who called the members of anonymous criminals, breaking into computer systems and stealing information. >> michael isikoff , thank you.